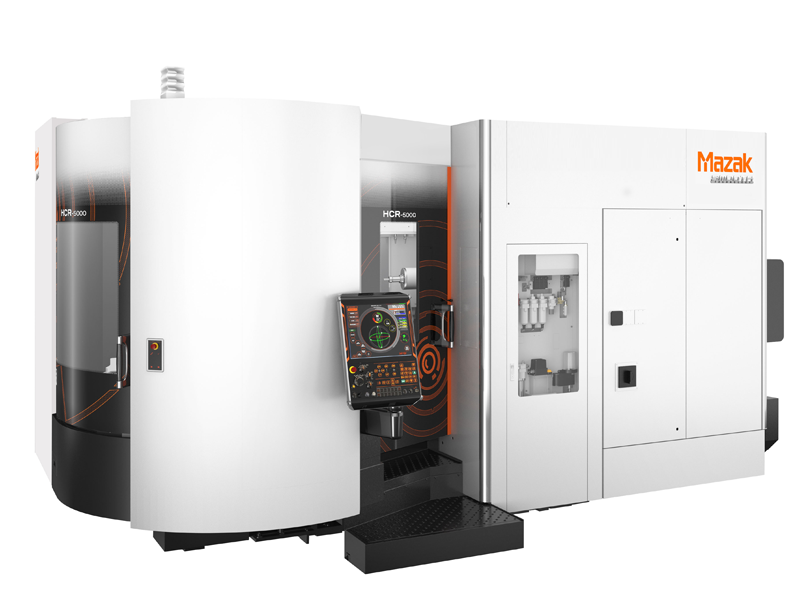 The exceptionally productive 5-axis HCR-5000 Horizontal Machining Center provides industries ranging from aerospace, medical, semiconductor/high-tech with numerous technological innovations to improve small to mid-sized aluminum component to market. In addition to its standard 12,000-rpm spindle, the HCR-5000 offers several high-speed spindle options up to 30,000 rpm, all of which feature integral spindle/motors. The machine also has ballscrew core cooling to minimize thermal growth and achieve higher accuracy. A 40-tool Auto Tool Changer (ATC), with optional magazines up to 160-tool capacity, further boosts productivity with a chip-to-chip tool change time of only 2.8 seconds. Plus, automation options such as 2-pallet changers or full PALLETECH systems can easily minimize non-cut time and improve overall process efficiency.